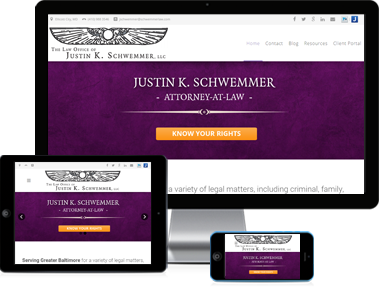 The Law Offices of Justin K. Schwemmer, L.L.C. came to Misfit Interactive looking for an affordable web solution for their recently launched small business. They needed a solution to work within a start-up budget, and we were happy to oblige. We customized an seo-friendly design to fit their professional brand, highlighted their expertise in the broad niche of law, and allowed them to easily edit and customize their website as their start-up grew. We also provided a dedicated hosting service that provides top-of-the-line security and protection. You dont have to trust us. You have to trust their stories! Misfit Interactive is a team I will keep coming back to. Their developers took what I needed and made it something I want. They met me at my own level of understanding and made my unique business circumstances and client base their priority. Now I have a website that truly reflects my professional values! Have a project in mind? Don’t hesitate to reach out to us today! Let’s talk.